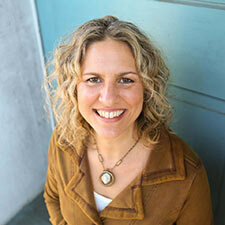 Jennifer Davis is a Leadership Coach and founder of Jennifer Davis Coaching. She is passionate about connecting clients to the motivation, inner strength and energy that enables them to optimize inspiration, motivation and direction, set and achieve professional and personal goals, build stronger business and personal relationships, and fully step into a life filled with confidence, integrity, values, and well-being. Her leadership coaching creates an environment of curiosity that enables improved performance through changes in awareness, perspective, beliefs, actions, and emotions. She has helped many individuals—from entrepreneurs to Fortune 500 employees to attorneys to architects to artists to coaches—find the inspiration and clarity to achieve meaningful personal growth. Her areas of specialty include maximizing leadership effectiveness, building resilience and inner strength, improving work relationships and productivity, and attaining inner peace through mindfulness, emotional processing, and energy work. Jennifer has held numerous corporate, coaching, consulting and volunteer positions over the past 25 years, including those in brand management, sales and marketing, and investment banking, at General Mills, Johnson & Johnson, and Kidder, Peabody. She is on the preferred Executive Coach registry for Stanford Graduate School of Business alumni and provides pro bono coaching for AmeriCorps Promise Fellows and United Nations executives. She received an MBA from the Stanford Graduate School of Business, a BA from Tufts University, and trained at the Coaches Training Institute. She is certified as an ACC, CPCC, and as a practitioner in the Leadership Circle Profile 360 assessment and development tool and leadership culture survey. Learn more at www.jenniferdaviscoaching.com and follow her leadership tips at https://twitter.com/jenmaydavis. Jennifer can be reached at jennifer@jenniferdaviscoaching.com.